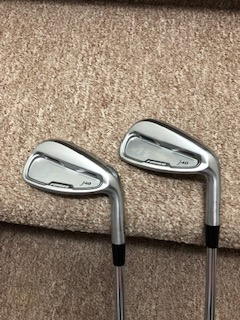 5-PW are dual pocket cavity model; 4 iron is regular J40. 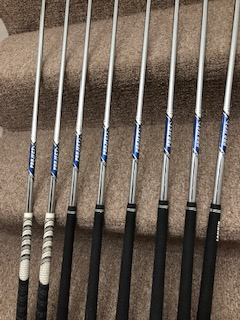 Rifle PX 6.0 shafts, excellent condition, labels all very good and totally intact. 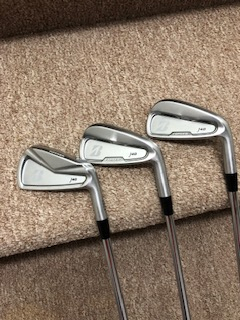 Standard L/L/L. 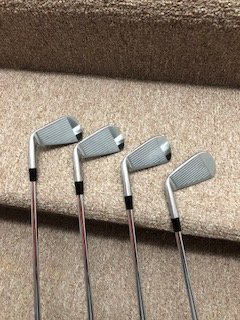 Lamkin REL Ace grips (black). 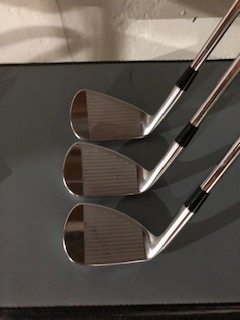 Irons are in very good condition, light wear on face, a little bag chatter, easy 8+/10 condition, probably 20 rounds on them. 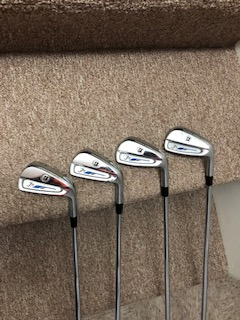 No rust, no browning, no face wear from sanded ranges, just light play wear – really a clean, nice looking set of irons. 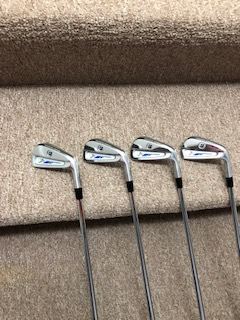 $150 OBRO shipped and Paypalled CONUS only. No trades. 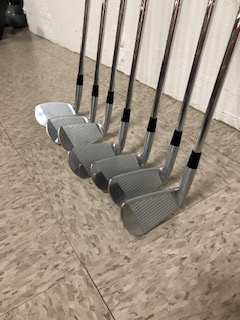 3-PW pocket cavity model. 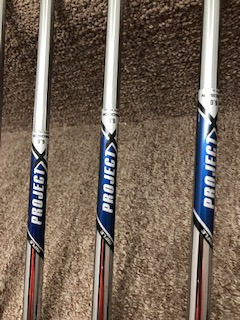 Rifle PX 6.0 shafts, labels all very good and totally intact. 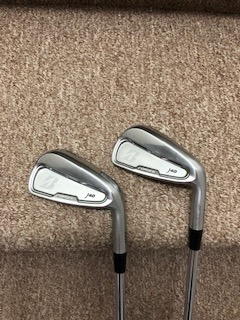 Standard L/L/L. 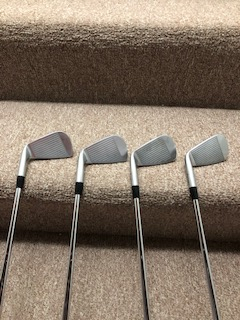 Lamkin REL Ace grips (black) except 3 and 4 iron are gripped with Decades; can include a couple Lamkin REL’s to round out the set. 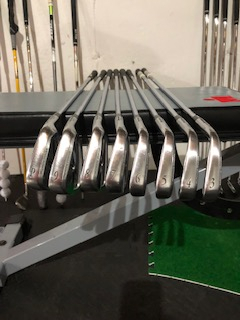 Good condition, light wear on face, normal bag chatter, easy 7/10 condition, probably 50 rounds on them. 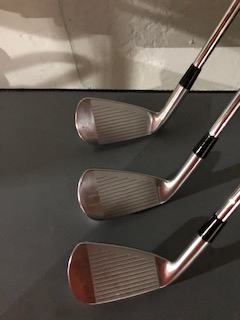 No rust, no browning, no face wear from sanded ranges, just normal play wear. 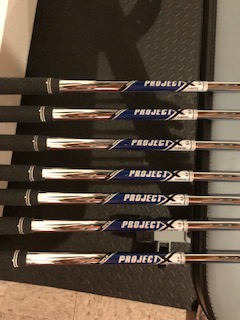 $100 OBRO shipped and Paypalled CONUS only. No trades. 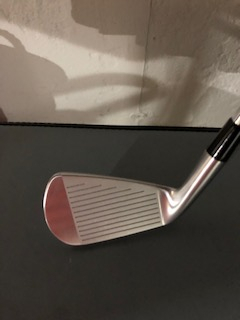 Anyone looking for a 3 iron?